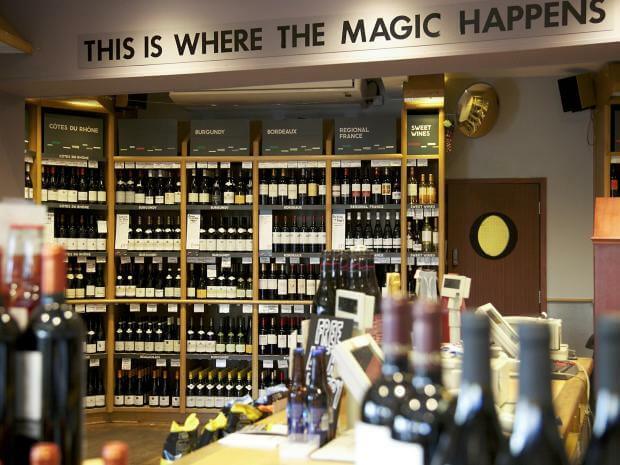 The Unwins Wine Group Ltd has delivered significant improvements with in its store ranging, replenishment and supply chain processes since commissioning Novasoft to implement SAP Retail.“Despite our initial nervousness about using SAP, Novasoft, with their strong program management and consultancy skills have guided Unwins through the implementation and we are now seeing the benefits the project set out to achieve.” Richard Rotter, IT director, UnwinsUnwins is a family owned group which operates 388 stores in southern England, where it is the largest operator of off-licence wine stores. The Group employs more than 2,130 people.Founded in 1843 as a London-based wine merchant, Unwins was acquired in 1921 by Phillips Newman and Co. Phillips Newman was a leading wine and spirit importer, bonder and bottler established by M.
A. Wetz in 1893. Unwins has 84 shareholders, all of whom are descended from the family of M.A. Wetz.Today the Group consists of three interdependent companies, operating in the alcoholic drinks sectors: Unwins Ltd (Retail) operating the brands Unwins and Phillips Newman; UDS Ltd (Logistics); and Phillips Newman Ltd (Wholesale). The problem facing Unwins was the overall age and breadth of its existing systems, both hardware and applications, some of which were 20 years old. As Richard explains, “While our systems worked well in the past, they no longer served the business we had become; we could not manage promotions efficiently or generate an accurate picture of profitability store by store. We are also a high volume, low value business and we felt that our applications were not properly geared to handle the flexibility we needed.”In the case of Unwins EPOS systems, the company needed to update the software and modernise the hardware to improve transaction time, reduce hardware failure rate and to migrate to Chip & PIN and was sure the existing systems could not cope or indeed be updated to handle the new CHIP cards. Richard explains, “We felt that the advent of Chip & PIN was a further good reason to look again at our systems and upgrade.”The biggest problem however in terms of impact on the business, was inconsistency of information, Richard explains, “Different systems generated different information and we could not easily reconcile this back to a single figure for key performance indicators. The company had no method of controlling range in store and no automated product allocation. This was left to store managers, which resulted in high levels of unsold stock and too many slow moving lines. Unwins therefore wanted a solution that would enable it to continue to tap into the store managers’ local intelligence, and make data available centrally, to show how individual lines, categories and product associations performed by store, region and company-wide. Unwins decided to replace its assortment of legacy applications with a fully integrated ERP system primarily to introduce central management of stock and stock availability in the stores and from the distribution centre, improve both category management and supplier compliance, and by implementing enhanced finance processes and a Business Warehouse, deliver timely and accurate management information into the business.In a review of its business, Unwins determined that a single programme of systems replacement represented too great a risk to the business, in terms of magnitude, complexity, and business impact.Richard explains, “In addition, there was some nervousness among Unwins senior management over choosing SAP, as we had all heard the stories about failed implementations. However, they were persuaded that this was the best solution, made easier by the selection of Novasoft, the UK’s foremost provider of SAP solutions in retailing, who worked with us to develop a phased approach to implementing SAP across the business that minimised risk of business disruption. The pilot showed that with the centrally controlled ranges, Unwins was able to reduce the stock held in store without affecting sales performance. To date, the company has seen reductions in store stock of up to 35%. By giving the company greater visibility of the supply chain, Unwins will be able to hold less stock in the warehouse and ensure that stock held in store is in demand by the customer.